Opaque 2 mil film for printing large, long-term graphics. Ideal for fleet graphics, signs and emblems. Pressure-activated, repositionable adhesive. Opaque white 2 mil film for long-term, interior and exterior graphics on stainless steel and other vehicle surfaces. Pressure-activated and repositionable adhesive makes installation easy. 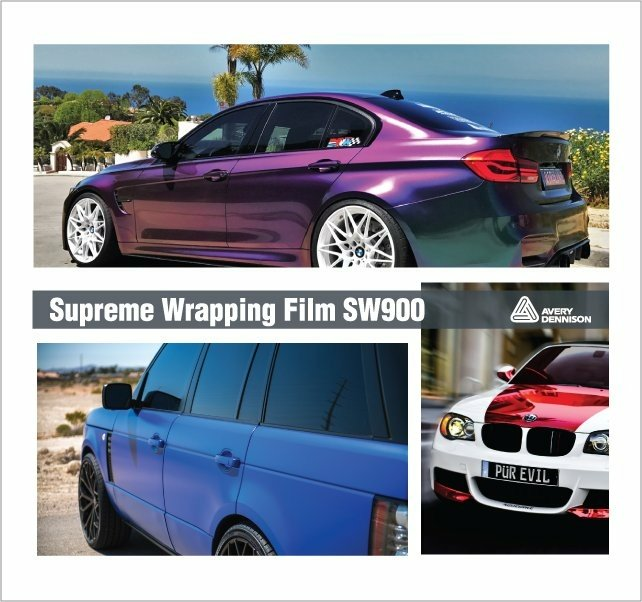 3M 1080 Wrap Film Series are long-term, removable, dual cast coloured films are designed for solid colour vehicle detailing, decoration and full wraps without graphic protection. Medium-term, removable graphic film with excellent hiding power and scuff-resistance. Applications: bus, vehicle, fleet, emblem, POP signage, vending machine graphics. Premium 2 mil Cast Vinyl Film for Screen-Printing Permanent, Multi-Coloured Graphics. Durable 2 mil ElectroCut graphic film for perm, pre-spaced, electronically-cut graphics. Clear, pressure-sensitive adhesive. For vehicles, emblems, signs, windows. 3-4 mil graphic film. Frosted, dusted and fluorescent. Permanent pressure-sensitive adhesive. 180mC (formerly 180C) is a 2-mil cast vinyl film that is available in 84 colors. It has a pressure-activated adhesive for easy sliding, tacking, snap-up and repositioning. It conforms to flat surfaces, with and without rivets, simple curves, compound curves and corrugations. Durable vinyl film that is made for attractive graphics that can withstand severe weather conditions. Repositionable 2 mil film with comply. Designed for screen-printing multi-colour graphics. Durable, long-term with high-tack grey pressure-sensitive adhesive ideal for adhering to sand cast, moderately rough surfaces and some low surface energy plastics. 2 mil film for screen-printing permanent, multi-colour graphics. Durable, long-term, white. Polyethylene-coated lay-flat paper liner and pressure-sensitive adhesive. These permanent, pressure-sensitive films have a transparent synthetic liner for easy cutting. They are available in a dusted crystal finish in translucent white (2 mil) or translucent frosted crystal finish (3.8 mil) in five colours. Premium quality 2mil cast film, flexible, opaque solid colour high gloss vinyl films designed for use in a wide range of advertising, fleet marking and outdoor uses where excellent durability, conformability, colour, and gloss are required. Premium quality metallic cast wrapping films, flexible, high gloss vinyl films designed for use in a wide range of outdoor advertising, fleet marking and more. Avery SW 900 Easy Apply Cast Vinyl Film is a premium quality cast film designed for use in vehicle and graphics markets where high quality film finish and cost effective full colour wrapping is required. The Diamond line is made up of six distinctive exotic car wrap colors featuring the same performance and versatility you've come to expect with Supreme Wrapping film, with added sparkle and radiance. A 3.2mil, satin, cast colour change film that shift from one colour to another. Avery 900 Ultra Metallic series cast vinyl films are premium quality, flexible, opaque solid colour, high gloss metallic vinyl films designed for use as a premium architectural, transportation, striping, accent graphics, and general signage markings. SC 900 Etchmark vinyl film with permanent adhesive gives you the look of etched glass with no sandblasting required. High Performance 2 mil Cast Vinyl with Clear, Pressure-Sensitive Adhesive. High performance 2 mil cast vinyl on transparent synthetic liner. Liner moisture-resistant, ideal for multi-colour applications. 8-year outdoor durability. A 2-mil film to screen print permanent, interior or exterior graphics with an adhesive that resists gasoline vapours and occasional petroleum spills. 3M FP032302 PSM Blockout Film is a white opaque material that offers excellent durability and opacity. This label products utilizes 3M Adhesive P1655 OW, which is a high performance white permanent tackified acrylic adhesive designed for use in demanding environments, including automotive applications. This adhesive offers excellent opacity and adhesion to a wide variety of substrates. General purpose film can be removed with little or no residue using heat. Permanent pressure-sensitive adhesive. WallStick CM100 is a 4mil, coloured, removable wall film that is 4mil thick. Due to its thickness, high opacity and flame resistance this low-reflective coloured film provides a matte option for cut lettering, decals, tradeshows, glass applications, retail shops and for the production of wall decals. Can be also used as a paint mask or paint stencil. GlassColour ASLAN CT 113 is a 3.1mil (80 micron) self-adhesive clear, coloured film with a semi-permanent adhesive for brilliant designs and advertising on glass and many other translucnet surfaces. MetalEffect is a 2mil, metalized self adhesive polyester film for both indoor and outdoor cut graphics for flat applications. ASLAN MetalColour is a Dry-apply, 5.5mil polyester, highly polished removable self-adhesive metal effect film that lets you create outstanding designs in a colourful metallic look. A 3mil calendared, gloss, coloured film with a permanent adheisve. For sign making applications. Opaque 3.2 mil high gloss intermediate calendered vinyl. For computer-sign cutting. 4-year durability. Intermediate polymeric film for interior and exterior. Solvent-based, acrylic adhesive. 5-year durability. Metamark 7 Series is a high performance polymeric calendered vinyl developed for computer-cut graphics for vehicles, window decals, and long term applications onto flat or slightly curved surfaces. 2 mil graphic film for internally-illuminated sign faces. For permanent, interior and exterior graphics. Clear, pressure-sensitive adhesive and water-resistant liner. Cast vinyl graphic film with clear, permanent, pressure-sensitive adhesive. Thermoformable, Long-term durability, Interior and exterior. 3635 light control films are a series of Day/Night, Blockout, Light Diffuer, and Dual Colour films for controlling, enhancing and blocking light in backlit light boxes. 3630, 3632, 3635 custom or corporate translucent colours. 3M 3730 Envision Translucent Colours and White Diffuser Films are 2-mil cast, long-term vinyl translucent films available in crisp, clear colours and a diffuser white. The matte surface finish is optimized for LED light and eliminates glare and provides uniform colour in reflected and transmitted light. High performance 2 mil cast films maintain consistent colour under both transmitted and reflected lighting conditions and adhere to a wide variety of substrates. 9-year durability. 3 mil cast vinyl for internally-illuminated signs. Uniform colour and surface finish eliminate glare. 3-5-year exterior life. Metamark 600T is a 3.14mil translucent, calendered 7-year vinyl with light transmission for backlit signage in a wide variety of colours. Durable, solvent-resistant transparent film coated with a transparent pressure sensitive adhesive. Protective removable liner. Similar day/night appearance. Microprismatic sheeting with pressure-sensitive adhesive for non-critical traffic signage or commercial signage. Daytime and night-time brightness. 7-year durability. Durable, flexible, enclosed-lens, retro-reflective film. Similar day/night appearance. 8-year exterior life. Retains 90% reflectivity when wet. Durable, flexible, enclosed-lens reflective sheeting designed for multi-coloured signs. Flat or corrugated. 8-year durability. 973 is a highly reflective, Diamond Grade, microprismatic lens conspicuity reflective sheeting with pressure sensitive adhesive for application to emergency vehicles. 983 Diamond Grade Conspicuity Markings are highly retroreflective microprismatic markings designed to mark emergency exits and the sides and rear of vehicles for enhanced visibility and detection. Durable, transparent acrylic coloured film with pressure sensitive adhesive. Protected by a removable liner. Microprismatic reflective sheeting with pressure-sensitive adhesive backing for application on non-critical traffic signage (such as no-parking, handicapped or restricted-parking), or commercial signing. Durable, enclosed lens reflective sheeting with pressure sensitive adhesive for making traffic control signs in an electronic cutting apparatus. Prismatic Sheeting With High Levels of Retro-Reflectivity for Various Traffic Scenarios. 3M 4000 Series is a diamond grade DG3 reflective sheeting is a full cube retroreflective sheeting designed for the production of traffic control signs and delineators that are exposed vertically in service. Fluorescent Orange Microprismatic Reflective sheeting for High Quality Work Signs. Flexible 7 mil retro-reflective film with excellent angularity. Designed for superior cutting and weeding. Removes with heat. 7-year durability. White film with a coefficient of retro-reflection of 100. Designed for screen-printing and electrostatic printing. Prismatic sheeting to enhance visibility of navigational buoys, channel markers and day-boards. Long-distance visibility in day or night. V2000 beaded reflective film is a 6.5mil Engineering Grade Retroreflective film on a 90# liner with a clear permanent adhesive. It offers exceptional value for flat applications for architectural, transportation, and general signage applications V2000 meets ASTM D4956 Type 1. V4000 is a 5.7mil (PERM) or 7.9mil(LTR), printable, conformable, beaded reflective film on a 90# liner that is designed for exceptional conformability to medium curves and rivets. It is available in either permanent or LTR (Long Term Removable) adhesive. The white reflective film is compatible with solvent, eco-solvent, latex inks. UV-cure ink on this product is only recommended for use in flat applications. 7.5 mil Reflective Sheeting for Excellent Visibility Day and Night. 3M DI-NOC Architectural Finishes are durable, cleanable, flexible PVC films with 3M's Comply Adhesive air release channels for fast, easy and virtually bubble-free application. Ventureshield paint protection film, also known as clear bra or chip guard, is one of the best ways to preserve the showroom quality finish of a vehicle. 846 is a 6mil, orange-peel effect, clear urethane surface protection film. Ideal for use on vehicle rocker panels and areas of high impact. 3-year warranty. SGH6PRO4.0 944 Pro Series Matte Paint Protection Film is a matte finished paint protection film series that enables minor scratches to disappear by themselves. For application onto matte painted cars. Pre-cut retail packs for door edges and trim, this series is the same product as 3M 848 Film. 3M 1080 Cover Chrome are 2" rolls of 1080 wrap film that offer you the ability to cover chrome detailing on vehicles to produce blockout and cover effects. High performance luminous film is the ideal solution for emergency exits and directional signage in buildings, ships, ferries and railcars. 948Pro V4 (SGH6PRO4.0) is a virtually clear 8 mil PPF film designed to reduce stone chipping and bug damage on painted surfaces. Excellent for protecting side mirrors, rocker panels, etc. Offers equal protection on new or used vehicles when applied to fully cured painted surfaces. MirrorEffect AntiScratch SE 75 is a 3mil (75 micron) permanent, double sided, polyester film with a high-quality true mirror like effect on both sides on a PET liner. FR rated. Available in silver or gold mirror finish. MetalLux SE 50 is a 1.9mil, polyester high-quality self-adhesive matte metallic film with a semi-permanent adhesive. ASLAN RP 36 clear and RP 35 white films are self-adhesive films for rear projection for glass and acrylic. SF 100 Special Effect Engine Turn Gold polyester films with a permanent adhesive. Excellent computer cutting property. Adheres to flat and simple curves. SF 100 Conform Chrome is a 5.7mil specialty film for use in vehicle and graphics markets where high end chrome accents are desired. Easy Apply RS feature allows for faster positioning, bubble free application, and long term removability. Can be protected with DOL 1460 laminate to improve abrasion resistance. Permanent 8 mil vinyl is ideal for safety-marking stairwells, fire alarms and access pathways. 5 year interior life. Permanent light-diffracting, metalized, UV-stabilized rigid vinyl film. For interior use. Ideal for signs, decals & POP displays. 2 year exterior life. PVC Films That are Light-Diffracting Metalized, UV-Stabilized Rigid Vinyl. 2 mil polyester film liner gives 10-year durability. Ideal for traffic signs. High levels of visibility. Conforms to flat surfaces. Wipe Erase White is a 6mil white, opaque, clear permanent adhesive, polyester dry erase film with a high gloss finish This is a permanent version of the existing ultra-repositionable ReTac Wipe Erase. Retac WipeErase is a white high gloss, 6 mil, high quality dry erase film with a hard coat finish and ReTac ultra removable adhesive that can be written on with standard dry erase markers. Gerber Sandblast Stencil 1532 is a green rubber sandblast stencil featuring a polyester liner for use in a variety of sandblasting protection applications on glass, stone, treated and untreated wood. It is sliced on the edges so that when the material is pulled away, the punched edges remain on the liner. The only exterior-use 22 karat gold vinyl. Ideal for attractive graphics inside or outside. 3M Fasara decorative glass films provide the look and feel of etched, cut sandblast and textured glass. These 2mil, polyester films can be wet applied to virtually any glass surface from entrances, doors, windows and partitions to ceilings, balconies stairwells and more. 3M Crystalline Series Automotive Window Tint Film rejects more heat than many dark films without changing the appearance of your vehicle, making it the superior choice for comfort. 3M Automotive Window Film FX HP Series offers outstanding heat rejection performance with a sleek charcoal finish. 3M FX ST Automotive Window Tint provides great value keeping your car cool without interfering with wireless device signals. 3M Color Stable Automotive Window Tint Film rivals tinted factory glass in its rich appearance. The nano-carbon is dispersed throughout the thickness of the film, it ensures years of performance with no chance of the film turning purple. 3M Automotive Window Film Scotchshield Security Series helps keep your car cool, safe and secure without interfering with device signals. Etchboard EBL 300 is a 3.15mil, polymeric, air-egress, frosted etch window glass decoration film with a writable surface that transforms any glass surface into a whiteboard. Conventional dry-erase markers can be used to write on the film and it can be dry-erased with a microfibre cloth. Contra Vision® Campaign Clear is a Clear perforated self-adhesive vinyl with 30% transparency and a removable, pressure-sensitive adhesive, featuring a clear Universal Liner, for the production of all inside application see-through graphics. Contra Vision Campaign window films are 6 mil monomeric, perforated, calendered films for short term graphics on the outside and full visibility from inside. Minimum application temperature for surface and air is +5C. Available in 60/40, 70/30 and 80/20 perforation levels. Contra Vision Campaign window films are 6 mil monomeric, perforated, calendered films for short term graphics on the outside and full visibility from inside. Minimum application temperature for surface and air is +5C. Contra Vision Privacy Window Film is a daytime, 70/30 perforated, black on white, adhesive polymeric window film that converts windows into one-way privacy glass. SQUID is a 3mil, open-weave PVC-free, polyester textile with a removable pressure sensitive adhesive. It is meant to be used as a semi-transparent architectural fabric for covering glass surfaces, which allows you to see out, but stops people outside from looking in during the day. Available in 6 colours. Compatible with solvent and UV-cure inks.